We did contact Princess Cruises about this shocking footage and they did tell us that they are looking into the details and information. The ship has been named as Star Princess which is 108,970 gross tons and can carry over 2,590 at double occupancy. 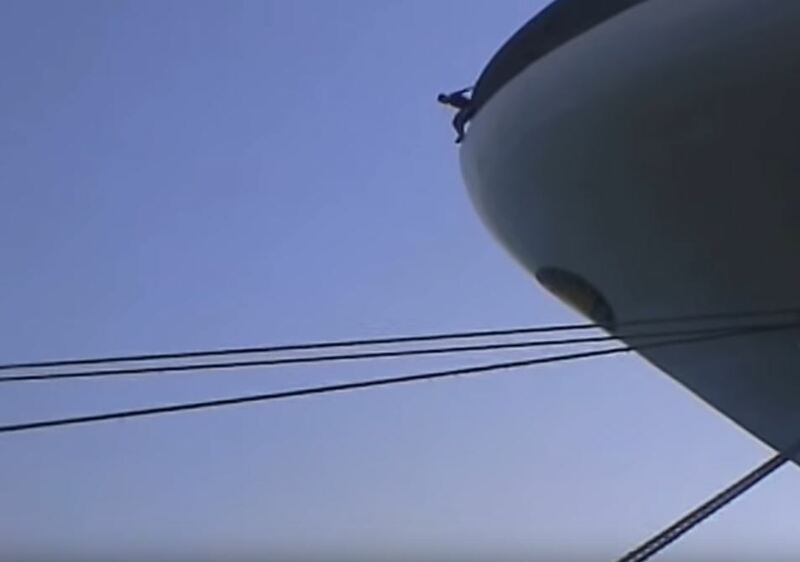 A video has been posted online of a man jumping off the bow of a cruise ship. A crazy man has been filmed jumping off the bow of a cruise ship while it was docked in port. No details were posted by the user of the video but he does seem to enjoy it. In the footage, the male passenger jumps from the very end of the bow into the water below. There doesn’t seem to be anyone else around as the man swims back to the pier where his friend is filming. At the end, the jumper said “that was awesome”, we can’t yet confirm which ship or port this happened but will let readers know shortly. From watching the footage it does seem the ship is calling in one of the popular Mediterranean ports some time ago and other vessels can also be seen docked there. Cruise Hive has contacted the cruise line about this video and will post an update shortly. This should never be done on a cruise ship and it could have ended very badly indeed. Hopefully, people can learn from this and not follow what this man did.